Angels duet from And Then, One Thousand Years of Peace ballet. 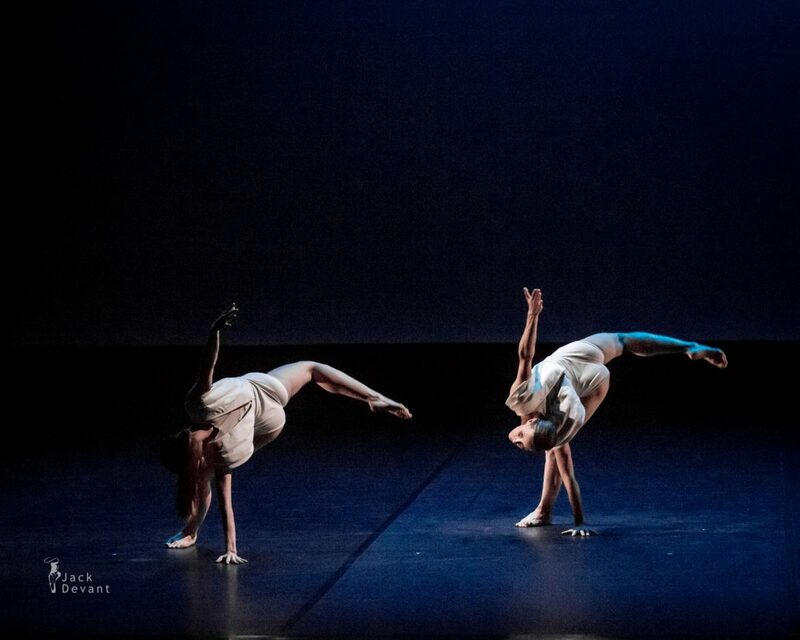 Music by Benjamin Rippert, choreography by Angelin Preljocaj, dancers: Natacha Grimaud and Nuriya Nagimova. Context, contemporary ballet festival by Diana Vishneva. Shot on 29.11.2014 in Mossovet Theatre, Moscow, Russia.